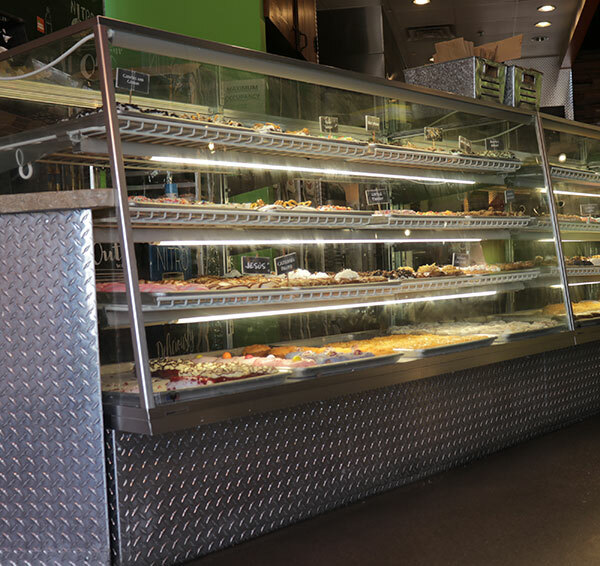 BAKERY, FOOD, JEWELRY, & RETAIL DISPLAY CASES. Every business has distinct needs. For that reason, Spartan Showcase designs custom showcases to match your unique brand, budget, and goals. Plus, our efficient manufacturing processes keep lead times to approximately 4-6 weeks. 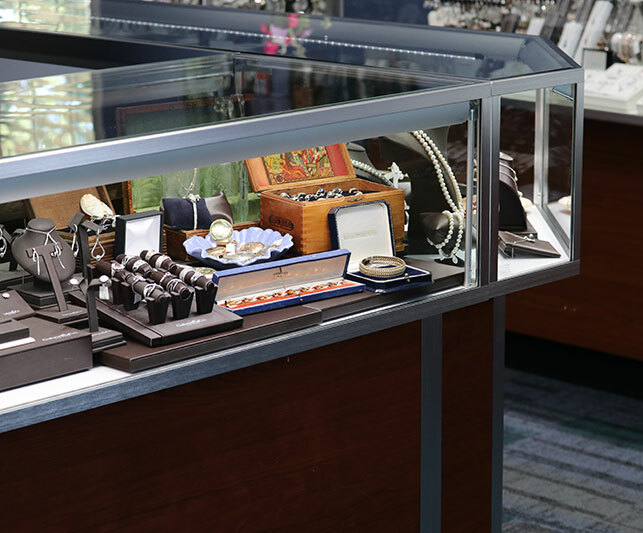 Because Spartan Showcase enhances the beauty of your products and the value of your brand, our display cases increase the profitability of your operation. We offer standard, quick-ship cases or customized showcases that match a distinctive look or style. Furthermore, if you are struggling with a design dilemma, our team is eager to assist you with your determining your exact showcase needs. Choosing the right options contribute greatly to the look and functionality of your display case. We want you to be completely satisfied. Whether it is a certain color, finish, mirrors, lighting, or something else, Spartan Showcase has you covered with a large variety of showcase options. Put your products in the spotlight with LED or Octron lighting options for your display case. Mirrored showcase doors reflect the beauty of your products from any angle. With virtually unlimited color and finishing options, you can be certain your showcase will match your unique taste and style. Manufacturing High-Quality Display Cases for Over 70 Years. Continued history of quality. After joining forces with Prock Operations, Spartan Showcase’s long-standing tradition of manufacturing superior products and providing outstanding customer service continues. Competitive pricing. Our ongoing investment in human and capital resources continues to pay dividends for our customers and business. Quick turnaround time. Spartan’s manufacturing facilities have expanded to nearly 200,000 square feet and our state-of-the-art equipment improves quality while shortening average lead times. © 2018 Spartan Showcase. All rights reserved. All trademarks, trade names, and trade designs are the property of Prock Operations, Inc., or its affiliates.